Beyond your daily necessities, what's on your shopping list? How close are you to having the money on hand to cover the things on that list, be it new tires, college tuition or a family vacation? Know what you're saving for and label it accordingly. Use specialized accounts to help you save more efficiently. Match how you invest to when you need the money. When you label your savings for a particular purpose, it helps guide your spending decisions and even forces you to plan ahead for incidentals and emergencies. Let's say you have money labeled "kids' college tuition" rather than the generic "savings." When you're planning a vacation, that label should deter you from including those earmarked dollars. The same can be said for the power of labels to inspire you to set up asavings "for emergency use only." You'll certainly see the value of having some money socked away ("just in case") when you have to "borrow" from your vacation fund to fix the transmission on your car or replace a broken refrigerator. Your health care costs -- especially as you get older. While these looming bills can be daunting, specialized -- and prelabeled -- accounts make it possible to save for each in a tax-advantaged way. 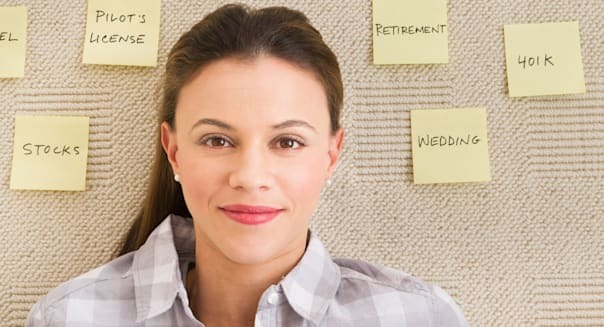 For your retirement, if you have a paying job, chances are very good that you can contribute to an Individual Retirement Account of some sort. On top of that, your employer may offer a sponsored retirement plan like a 401(k), 403(b), Thrift Savings Plan or other qualified retirement account. Money in those accounts compounds tax-deferred for your retirement, and depending on the account specifics, you may get an additional tax benefit on money you contribute or withdraw. For health care expenses, several health care plans offer Health Savings Accounts. With an HSA-qualified plan, you can deposit money into your HSA account, invest it tax-deferred and withdraw it tax-free for qualifying health care expenses. If you start funding an HSA when you're relatively young and healthy, the power of compounding can turn that into a substantial amount when you're older and more likely to need expensive care. When it comes to education, 529 plans offer you the chance to invest for college in a tax-deferred account and withdraw it tax-free for qualifying education expenses. Some states offer income tax deductions on part or all of your 529 plan contributions, making the accounts even better. These specialized accounts are designed for these very specific savings goals. Therefore, if you do not use the money for a qualified purpose, you generally have to pay a penalty on top of taxes on the money you take out. That's not meant to deter you from using these accounts, since the odds are pretty good that over your lifetime, you'd benefit from having saved in one or more of those plans to help you cover those significant expenses. What time you need the money should have an impact on how you save it. In practice that means money you expect you'll need within the next year or so -- like your emergency savings or next semester's tuition -- should be kept in a stable and liquid asset like a savings account or money market fund. That way, you'll know it will be there when you need it. %VIRTUAL-article-sponsoredlinks%If you have a few years, U.S. Treasury Bonds that mature just before you need that cash will typically let you lock in higher rates than a savings account -- but you do face some risk of price fluctuation between the time you buy and the time the Treasury Bond matures. You also may want to consider similar-duration high-quality investment-grade corporate or municipal bonds, but understand that they don't generally carry Uncle Sam's guarantee like Treasuries do. Only in cases when your need is more than five years away does it generally make sense to consider stocks. While the stock market has been and will likely continue to be a great wealth-building tool, the market doesn't always go up. Therefore, you don't want to invest in stocks with money that you expect you'll need in the near term, for the simple reason that you want to be sure it's there when you need it. Focus and perseverance is key -- matching the money you save with the goal you're saving it for, putting it in an account that's appropriate for that purpose, and saving with the right time horizon for when you'll need the money. Employ these three steps in your savings strategy and watch the plan you put on paper successfully come to fruition.